Who else is happy that fall is just about here? Time for pumpkin everything and Football on TV. This year you can make the most of the College Football Season. Never miss a game with Dish. If you do not already have Dish Now is the time to get it! Check out my journey with Dish. Multi-Sport Pack offer: Starting now through October 18, new customers who purchase America’s Top 120+ programming package or above will get access to DISH’s Multi-Sport Pack, which includes more than 20 regional sports channels and NFL RedZone, at no additional cost. Pac-12 Network free preview: DISH is offering customers a free preview of the Pac-12 Network from August 26 through September 17. Game Finder app: DISH’s Game Finder app makes it easy to find current and upcoming football games, as well as schedule recordings. It also incorporates data from Thuuz to rate the most exciting games. MultiView mode: Hopper 3’s MultiView mode allows you to watch up to four games at once by dividing your TV screen into quadrants, each with the ability to display a different program in HD. Use the Game Finder app on Hopper to find current and upcoming games and easily schedule recordings from the same screen. The app incorporates data from Thuuz to rate the most exciting games, so you’ll always know which teams are heating up. Check out Game Finder in the apps menu or on channel 152. Hopper 3’s MultiView mode allows you to watch up to four games at once by dividing your TV screen into quadrants, each with the ability to display a different program in HD. You can easily toggle among the four channels to determine which one will have its audio played. 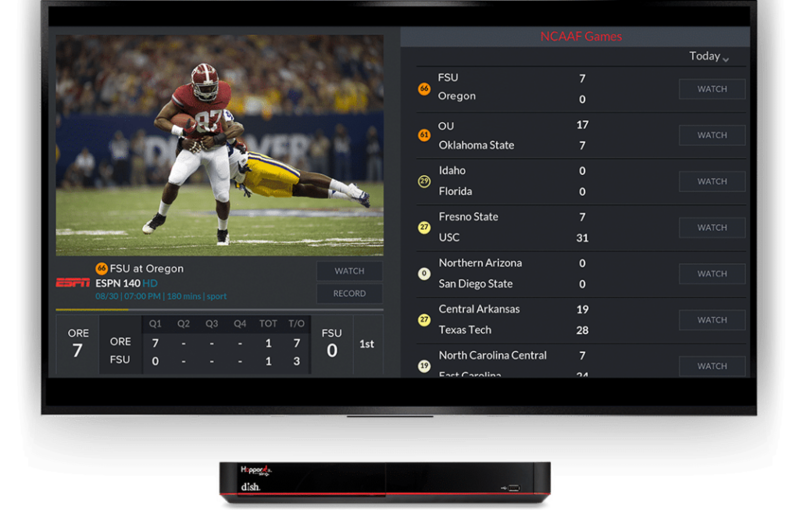 With MultiView, fighting over the remote or missing a game-winning play are now things of the past. 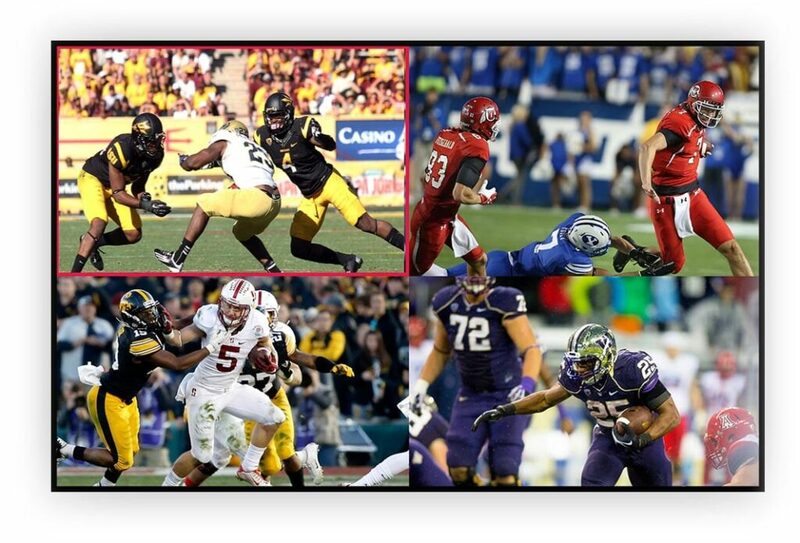 To get the most football with DISH this season, click here.